As a member of a housing society, an individual is expected to follow a certain code of conduct. Upon not adhering to these, several complaints can be raised on your Society management software. But, did you know that the model society bye-laws too list legal implications about how a member is supposed to maintain their flat in a housing society? 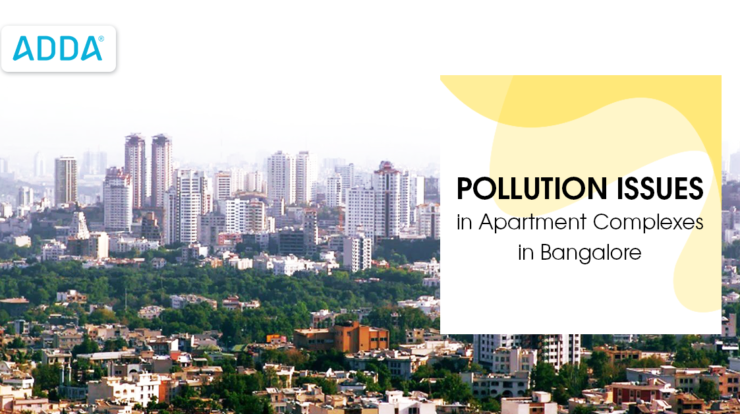 Society Bye-laws number 46 to 50 mention the guidelines on how members of a housing society are supposed to maintain their flats. No member shall, without the previous permission of the Committee in writing, make any additions to or alterations in his flat. The member, desirous of making any additions to or alterations in his flat shall make an application to the Secretary of the society, giving all the required particulars. Further action on such application shall be taken by the Secretary and the Committee of the society as provided under the bye-law No. 65. A. For facilitating discharge of functions mentioned under the bye-law No. 156 by the Committee, every member shall allow the Secretary of the Society, accompanied by any other member of the Committee, to enter upon his flat with prior intimation to the member, to examine its condition for ascertaining the repairs if any, necessary. The Secretary of the society shall make a report to the Committee, indicating therein the particulars of the repairs to be carried out by the society at its cost and those by the members at their cost. B. Notice to the member for carrying out repairs to his flat at his cost. In respect of the repairs to be carried out by the member at his cost, the Committee shall cause the notice to be served on the member, indicating therein, the particulars of repairs necessary at his flat and calling upon him to carry out the repairs to his flat to the satisfaction of the architect approved by the society, if any, at his cost, within such period as the Committee may allow. 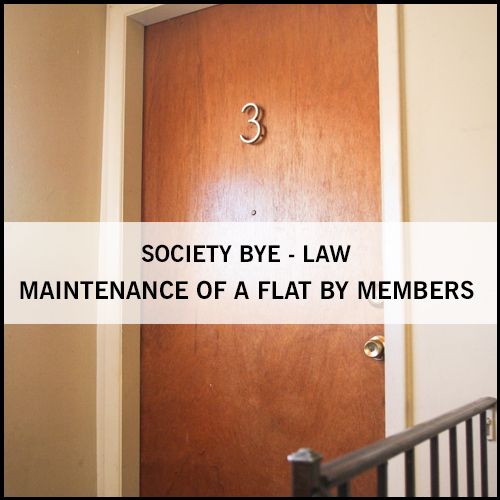 On his failure to comply with the notice, the Secretary of the Society or the architect appointed by the society shall have authority to enter upon the flat and cause the repairs to be carried out after giving due notice to the member concerned. The amount spent by the Society on such repairs shall be recoverable from the member concerned. No member, without the previous permission of the Committee, in writing, shall stock or store any kind of goods or materials, which are combustible obnoxious or other goods, for the storing of which requires permit/ sanction of the competent authority under any law relating thereto. No member shall do or suffer anything to be done in his flat which may cause nuisance, annoyance or inconvenience to any of the members of the society or carry on practices which may be repugnant to the general decency or morals of the members of the society. It shall be competent for the Committee either sou-moto or on receipt of the complaint from any member, to take steps to stop all such practices referred to in the bye-law No. 50(a) forthwith. Adhering to these laws is vital for every housing society member. Not doing so, can result in the worst case scenario of expulsion from the housing society. Poll: Satisfied with the Play Area in your Apartment Complex?